The ozone hole poses a threat to, among others, the health of people in especially Australia. As UV light doesn’t get blocked out anymore. Fortunately, the hole seems to be closing now. The main cause of the ozone hole are chemicals called CFCs. These chemicals were used in almost everything in the seventies; spray cans, refrigerators, Styrofoam and cleaning products. The reason for this is that CFCs don’t react easily with other chemicals. Which is really useful in, for instance, deodorant, as they won’t react with it make it smell like rotten eggs, for example. The problem however is that CFCs do react with ozone, the chemical in our atmosphere that keeps out the UV-rays and keeps us all nice and safe on earth. Without ozone, life on earth would be impossible. So this great amount of CFCs in our atmosphere have caused a ‘hole’ in the ozone layer to form above Antarctica every Australian spring. Well, not really a proper hole, it’s more of a local decrease in the concentration of ozone. As soon as scientists discovered this consequence, CFCs were forbidden, although there has always been doubt that this rule, which is called the Montreal Protocol, would have any effect. Susan Solomon and her team have found out that the rule has worked and the ozone hole is in fact closing. Although the ozone hole grew last year because of a couple of volcanic eruptions, since volcanoes can release chemicals that react with ozone too, scientists believe that the ozone hole is really shrinking and the Montreal Protocol really works. Susan Solomon and her team have studied the ozone hole with weather balloons and satellites and they analysed the amounts of CFCs and volcanic chemicals that are still floating around in the atmosphere above Antarctica. From this, the scientists conclude that the ozone hole is really shrinking. This means that the high amounts of UV-radiation in Australia and on Antarctica will decrease. And since too much UV-radiation causes sunburn and skin cancer, this is really good news for the people living in Australia. 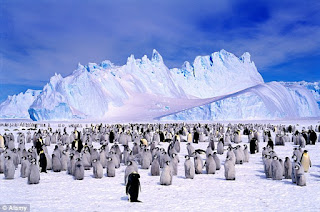 The consequences of the ozone hole weren’t that severe on Antarctica, since not many people live there and not much sunlight, and with that not much UV-light reaches the continent. But it’s also really good news for the rest of the world, because this discovery proves that we can actually revert the harm we do to the environment with rules and laws, in this case with the Montreal Protocol. Maybe we can reverse the enhanced greenhouse effect too!